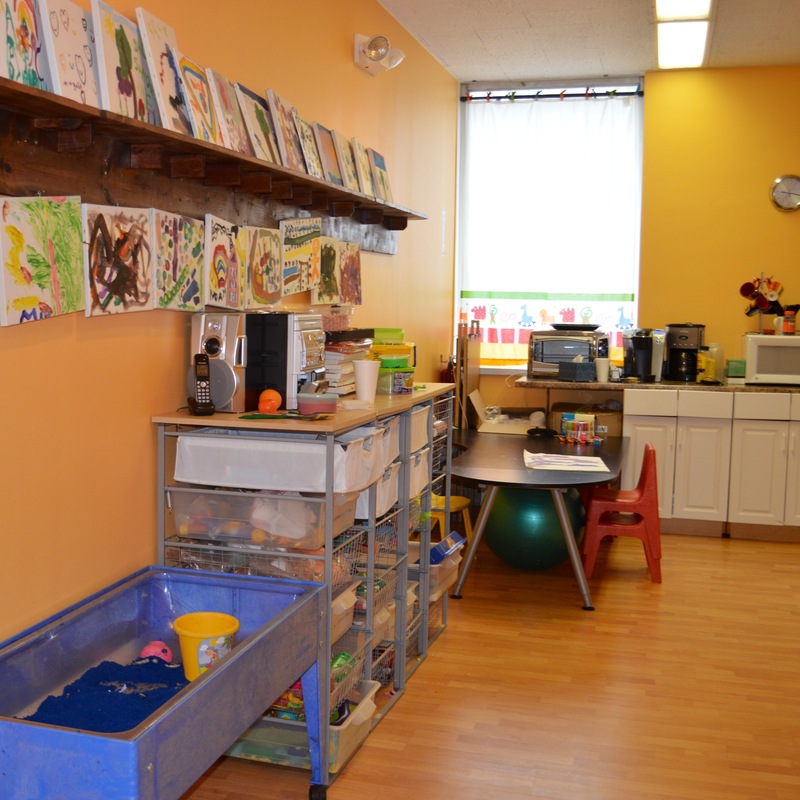 Our center, in Northern New Jersey, Bergen County, a pediatric occupational therapy facility, boasts over 2,500 square feet of treatment space including two large sensory gyms. 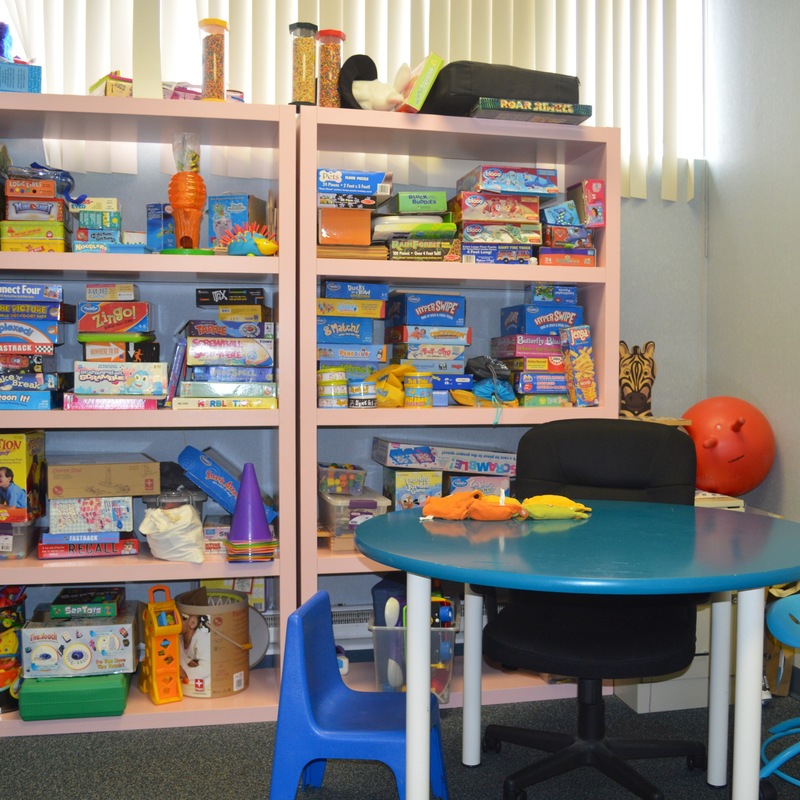 Our Fine Motor Room is where we work on fine motor skills, table top, cognitive, writing and other quiet types of activities that demand working or playing in a tranquil setting. In that room we also have all of our games and puzzles. 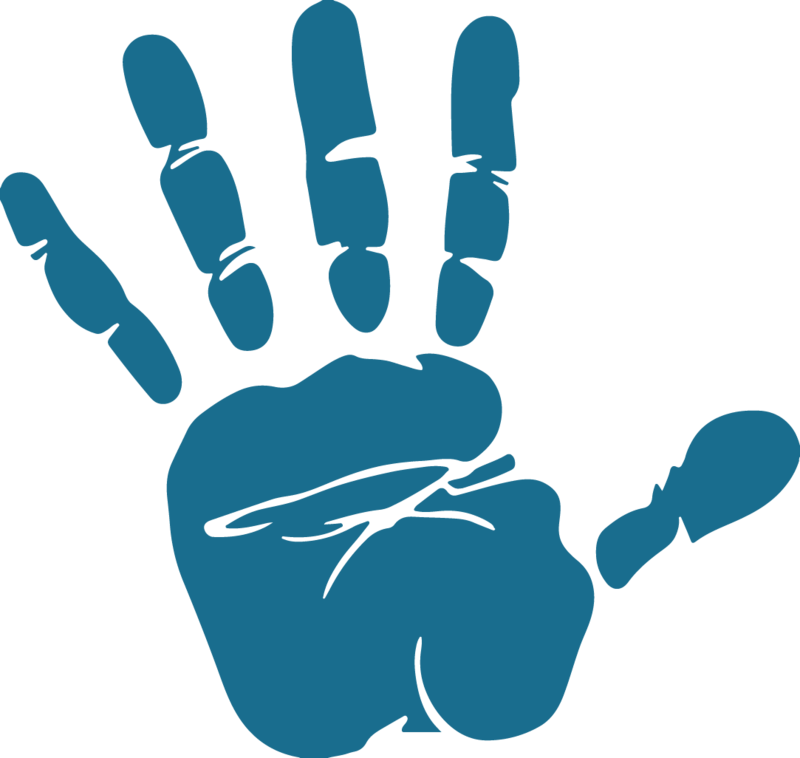 We have two different sized tables and various-sized chairs to meet everyone’s needs. 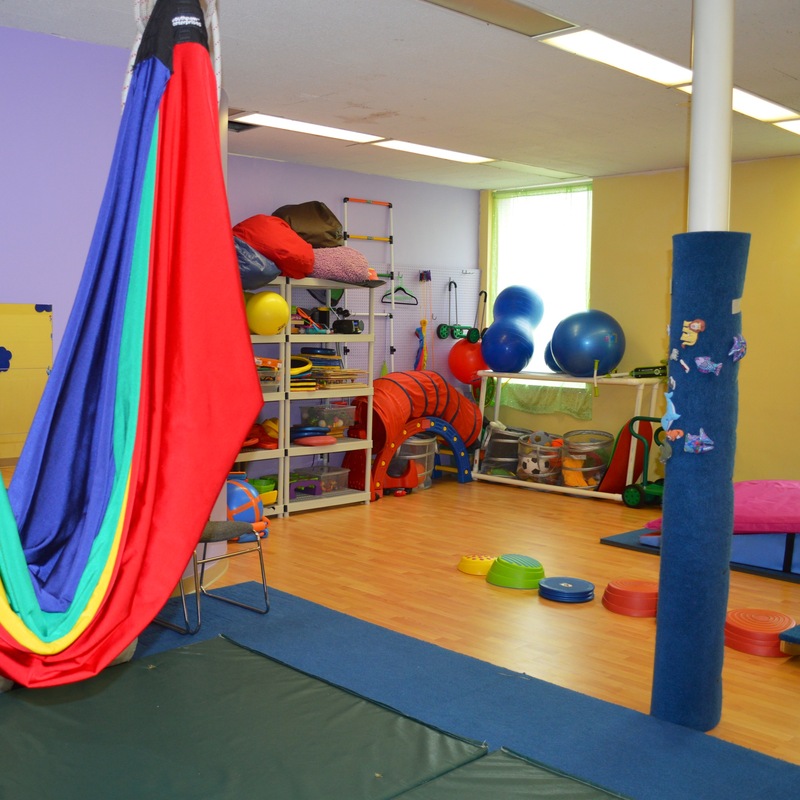 Our smaller Sensory Motor Gym is a great quiet place to work. There is a swing hook up with great mats underneath. A huge, painted chalkboard graces the wall and a challenging playground structure sits awaits climbers. This room also has a tent with a generous rice box for kids to sit inside and play. The Wii Fit U is a favorite activity in this room. 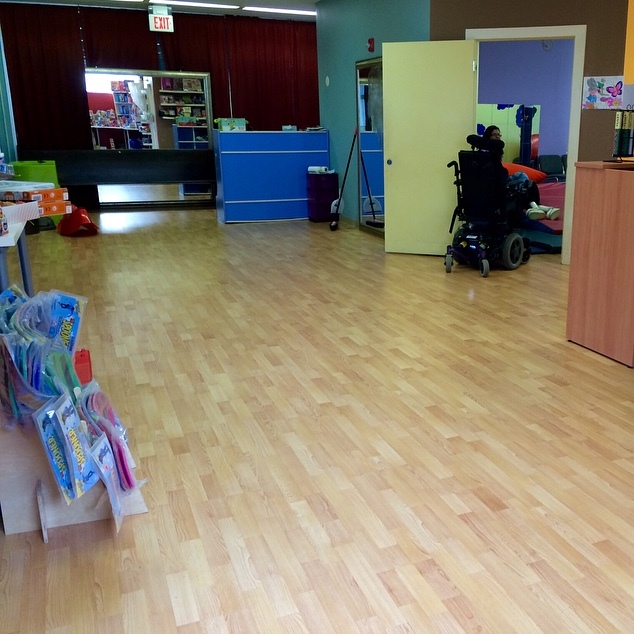 Our Center Room is not only the hallway between, it is also our large open space for challenging riding toys and large obstacle courses with cars, bikes and scooters. Our Messy Room also serves as the kitchen and allows us to have a worry-free zone for messy activities such as painting, putty, shaving cream, Shrinky Dinks, baking, gluing, Fun Sand, Kinetic Sand, Skwooshy, Living Sand, Insta-Snow, Jiggle Jewels and so many other creepy, gooey and messy types of activities. The two handicapped-accessible restrooms are adjacent for easy cleanup. We even have a fully stocked changing table for our little ones. 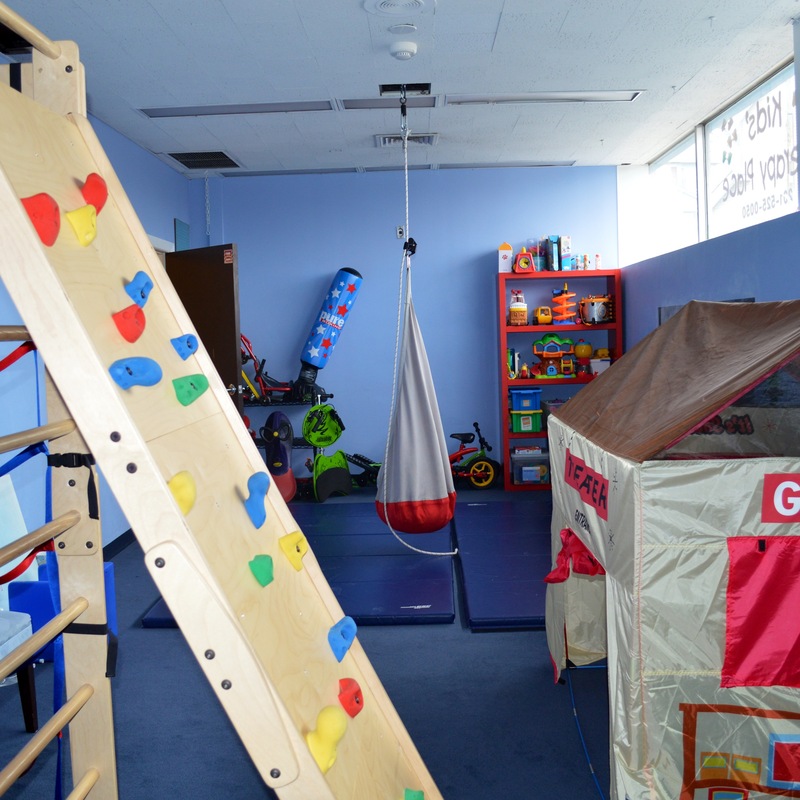 Our Main Sensory Motor Gym is a large salon we are able to accommodate the various needs of our children. This room has a variety of swing attachments and multiple hooks from which to hang them. We have a wide assortment of positioning equipment such as bolsters, balls, benches, wedges and mats to address more physical handling. And all children love the ball pit which can be a destination of its own or part of an elaborate obstacle course.